Do most of your conversations with your teenager involve you talking while they continue to stare into their mobile phones? They are hooked on to their gadgets and you often wonder what they are up to. Conversations are a thing of the past because your child prefers spending time with his/her phone rather than going out with the family. If this is a common scenario in your household, it’s time to take this matter more seriously. You might shun it off thinking your child is just being a ‘regular teenager’, but there is more to it than meets the eye. What are these ‘likes’, ‘comments’ and ‘shares’ on social media but the incessant need to seek validation, isn’t it? Everything put out on social media platforms is an attempt to be liked a little more and when you don’t get the response you expect, it’s enough to cause anxiety. Well, that’s exactly the spiral your teenager is part of. It can be a selfie, a picture of their dog or a delicious-looking cheesecake – all they crave for is instant validation and gratification. In this process, they tend to interlink their self-worth to something as petty as the number of ‘likes’ their posts receive and that’s a dangerous space to be in. Sometimes, this can also push them to say or do things on social media that they don’t identify with. As a parent, it’s important to let your child know that no amount of likes or followers should make or break their self-worth. It’s human nature to compare ourselves to others but social media just makes this worse. You cannot blame your teen for this because it gets difficult to not compare when everyone on social media seems to be living their best life. Making constant comparisons to their friends, strangers and even celebrities pushes them to feel worse about themselves. Every time someone achieves something, it makes them more insecure and demotivated. Help your child redirect their futile comparisons on doing things that actually matter. Motivate them to focus on their strengths and make them aware of the fact that what they see on social media is just half the story. It’s true that social media has set and fueled impossible standards and being a teenager in today’s digital times, there is no running away from that. It’s worrying to know how the air-brushed selfies and image editing apps have skewed teenagers’ perceptions of themselves. Everyone wants to appear perfect and happy even though they might be fighting multiple insecurities inside. Don’t let social media take over your child’s reality. The only way to help them retain their sense of self is by having conversations with them and encouraging them to be pragmatic about this medium. 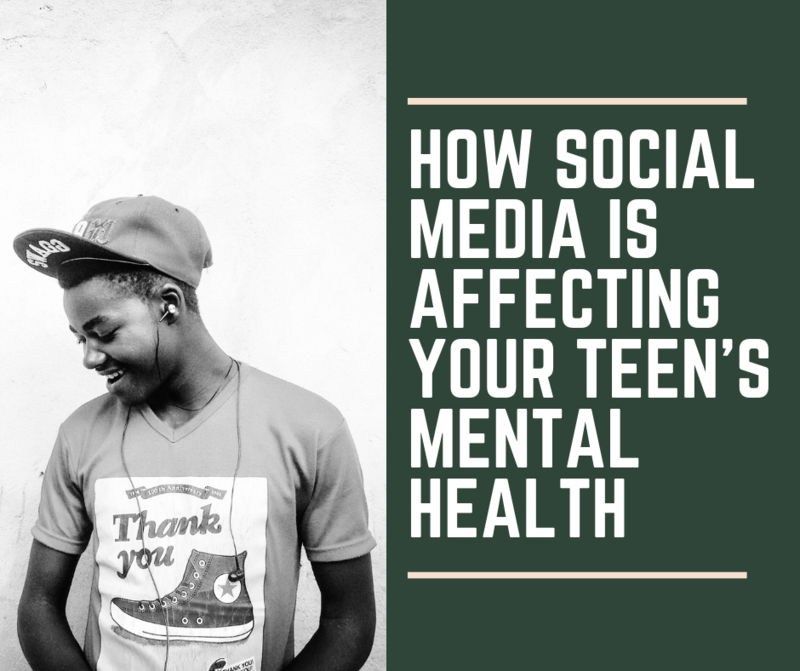 From balancing a part-time job and college to juggling multiple college assignments at once – there are a lot of things that teenagers have to deal with. It’s a crucial period in their lives and they surely cannot afford to lose track of the bigger picture. It is a well-known fact that excessive use of social media impacts attention spans. They might be in the classroom or trying to study for a huge exam, but their minds are always somewhere else. You might fear getting into an argument with your teen but it’s essential to lay some ground rules such as keeping their phones away while having dinner, going to bed without their phones or setting a downtime period. Don’t impose these rules to them – explain why you’re asking them to do it and discuss the consequences with them. Cyberbullying refers to any sort of harassment or intimidation faced online and is very commonly faced by teenagers. From being sent explicit images to getting called names – cyberbullying is rampant because some nameless/faceless stranger out there wants to feel powerful and superior by resorting to such behavior. While some know how to deal with such people, there are a few who might get affected and get into a shell. It can have a lasting impact on their confidence while leading to depression and anxiety. If you notice changes in your teenager’s behavior, build trust and talk to your child. Believe what they to say and work it out together with them. The worst thing to do is to blame them for getting bullied or shrugging the incident off. Cyberbullying is a serious crime and you need to have your teen’s back if they are a victim. Adela Belin is the Head of Digital Marketing at Writers Per Hour. She writes about motivation, mental health, personal development and all things in between. She hopes to make a difference in people’s lives by sharing relevant stories inspired by her personal journey. Feel free to contact Adela on LinkedIn.